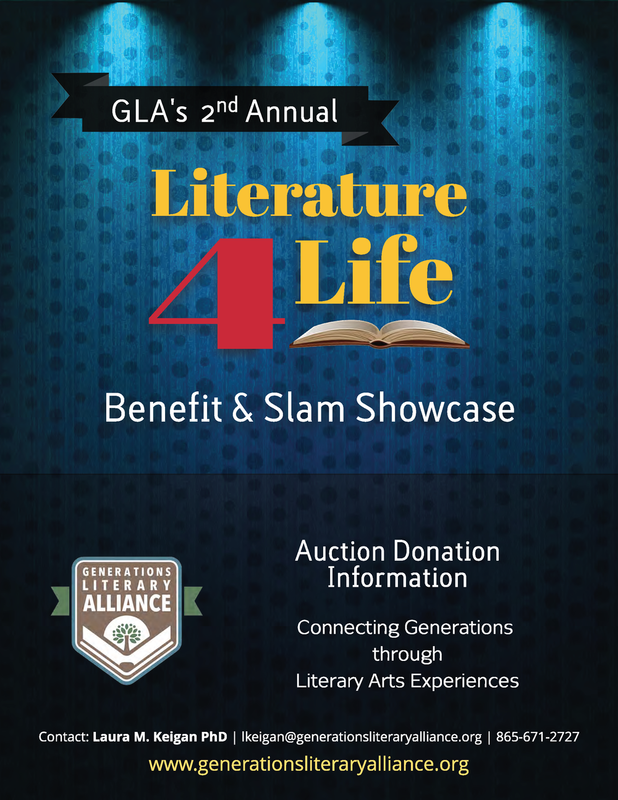 We're so excited with how the 2nd Annual "Literature 4 Life" Benefit and Slam Showcase is shaping up. One element we're still working on is the silent auction, which will take place over the course of the event. 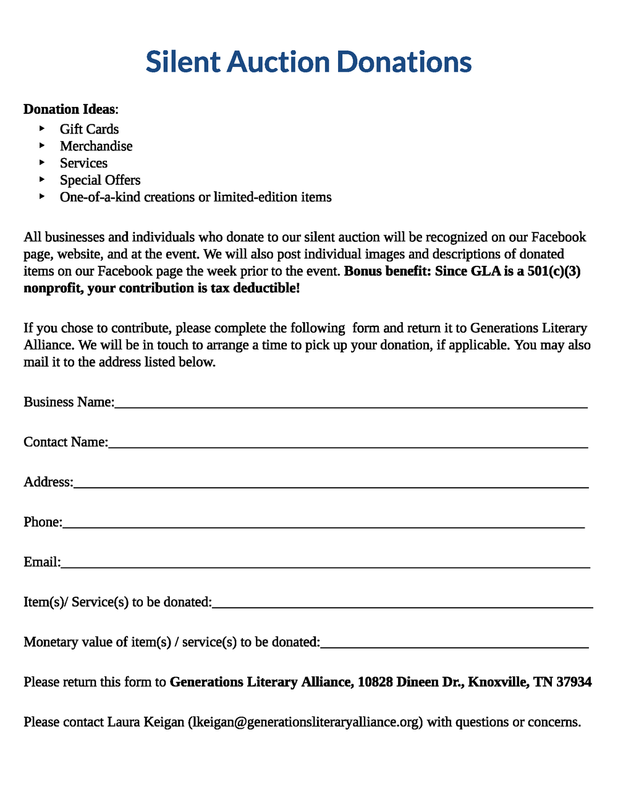 In particular, we're looking for Knox-area businesses and professionals willing to donate items and services for the auction. All donors will be featured on our website and social media pages and will receive two tickets to the event. This is an excellent opportunity to support the Arts and enjoy an evening of music and slam performances in Downtown Knoxville. Above, you'll find our "Auction Donation Information" packet, which provides details on the event, our organization, and our programs. As always, don't hesitate to contact us if you have questions! Newer PostSilent Auction Sneak Peek!